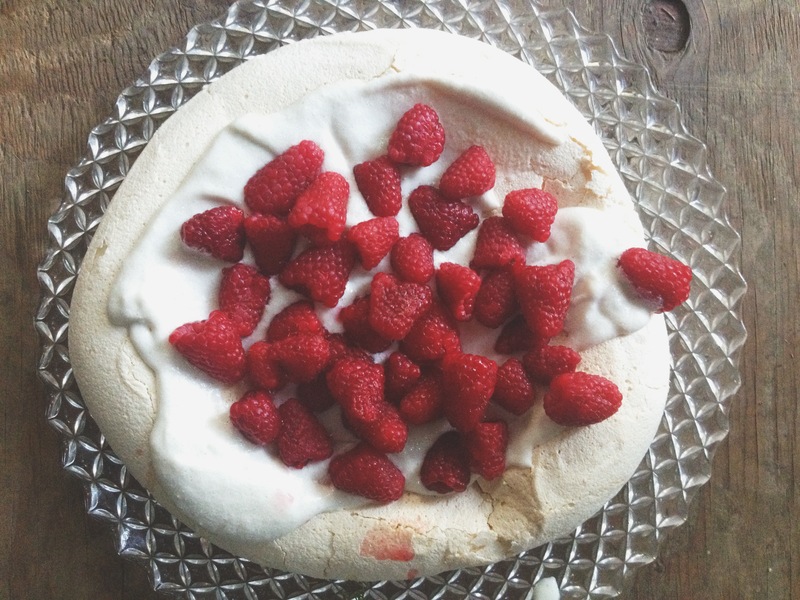 vegan pavlova, it’s real! 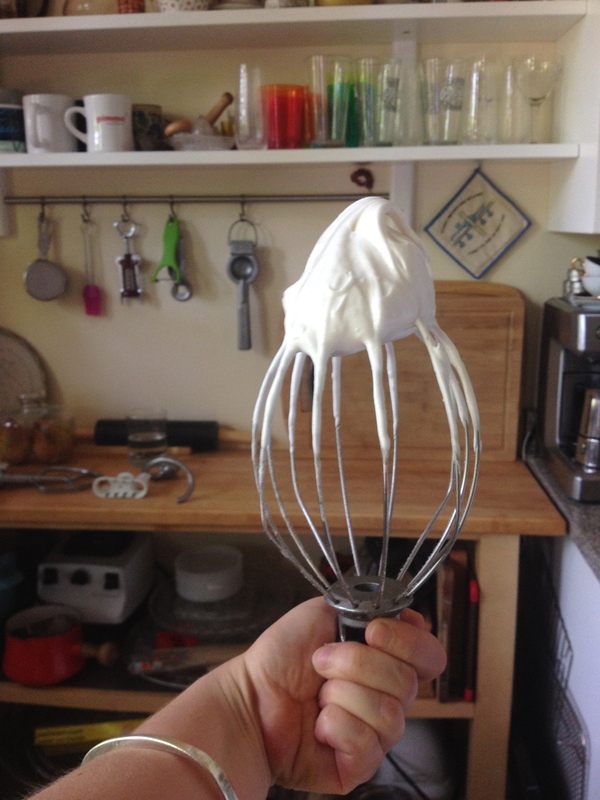 aquafaba is the craziest thing for making vegan meringue and i’ve been seeing what it can do. it’s chickpea soaking liquid and it will blow your mind. i was excited to try it but a bit skeptical. Chickpea liquid? Into meringue? and it tastes good? and it seriously blew me away, glossy stiff peaked white meringue in minutes. line a baking sheet with parchment paper and pile the meringue into a big circle for your pavlova, about 12 inch across. let it sit up pretty high. bake for 2 1/2 hours, i know this seems long but it does seem that part of getting this right is to bake it low and slow. it should be crispy and slightly golden. scoop off the cream from the coconut milk. save the rest for future use. whip the coconut cream with vanilla until thick. top pavlova with cream and fruit, serve immediately. -i tried using this recipe to make little meringue cookies. they are really good that day but can get really gummy as they sit. -uncooked to top a lemon meringue pie etc. you will want to whip up your meringue pretty close to serving. i tested making a batch and leaving it in a fridge overnight and it deflated a bit and got a little slimey. you can re-whip it at this point pretty successfully. -all in all really good and really versatile but it’s results are the most impressive when everything is fresh. Wow–very unexpected and really, so incredible!